Though I am an avid herbalist, my goal isn’t necessarily to get my patients off of all of their medications. But for those for whom remaining on medications is the best choice, it is important to make sure that any supplement I want to add will not have a negative interactions with the drugs. Common interactions between herbs and drugs include situations where the drug and the herb have similar actions in the body and the overall effect is too strong. For instance, you wouldn’t combine the herb Valerian with the drug Valium because they are both sedating. The two together could cause decreased consciousness or at higher doses could possibly cause respiratory failure. Other times, herbs can make medications less effective. Some herbs like St. John’s Wort can speed up the activity of liver enzymes that neutralize certain medication. 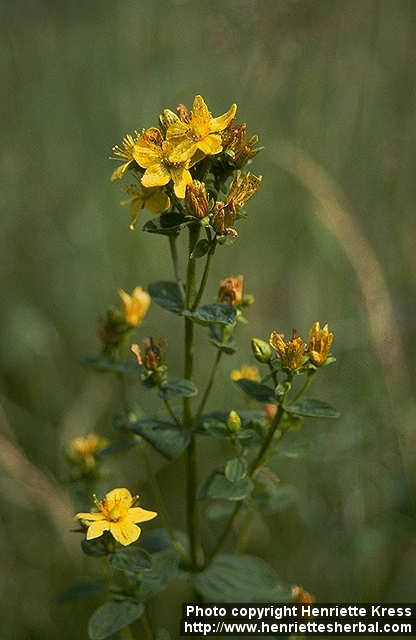 For instance, I will often choose another herb rather than St. John’s Wort for mood support in my patients taking birth control pills because birth control is one of the medications that could become less effective with St. John’s Wort. St. John’s Wort doesn’t effect all medications, but there are a fair number of medications that shouldn’t be used with it. On the other hand, there can be positive interactions between supplements and medications where certain supplements enhance the effect of a medication in a positive way or prevent medication side effects. For instance, a study revealed that taking fish oil with an antidepressant was more effective for mood issues than the medication alone. I also look out for medications that deplete specific nutrients from the body. Such as the popular diabetes drug, Metformin, it inhibits the absorption of calcium, folic acid, and vitamin B12. Therefore, I will often make sure my patients on this medication are taking extra amounts of these nutrients. Another very common example is the use of probiotics to prevent some of the digestive distress that antibiotics can cause. There are several interaction finders available on the Internet, but unfortunately their information on supplements is often lacking or inaccurate. If someone is taking any drug and wishes to take herbs as well, it is best they seek the advice of a professional trained in herbal therapy. This entry was posted in Health and tagged adverse reactions, health, liver enzymes, medication side effects, side effects. Bookmark the permalink.